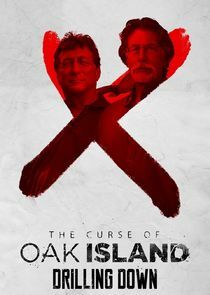 A companion series to "The Curse of Oak Island", this series gives new viewers a crash course into what "The Curse of Oak Island" is all about. The series features different guests, including interviews and in-depth and thought provoking discussions surrounding "The Curse of Oak Island". Oak Island has intrigued treasure hunters for hundreds of years, as it is believed to hold one of the greatest treasures of all time, but nobody can find it. Two brothers from Michigan have bought the rights to much of the island so that they can attempt to crack the mystery of the curse and find the treasure. A preview of what will happen during Season 4 as Rick and Marty Lagina continue to excavate the renowned Money Pit, as well as a recap of what happened previously during Season 3.